English: Wattled crow; organbird; bellbird; French: Glaucope cendré; German: Graulappenvogel; Spanish: Kakapo. physical characteristics 16-18 in (40-45 cm) and colored bluish gray with a black mask. 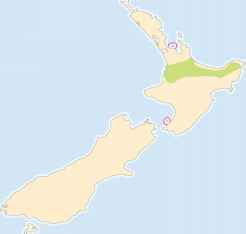 The North Island kokako (C. c. wilsoni) has a blue wattle and the South Island subspecies (C. c. cinerea) has an orange or yellow one. Temperate mixed forest, dominated by either coniferous or broadleaf (angiosperm) trees. The North Island kokako is found mainly in mature podocarp-hardwood forest. The South Island kokako utilized similar habitat, but it may now be extinct. Actively walks and hops on the ground and from branch to branch, but is a weak flier. It generally occurs as non-migratory pairs that defend a breeding territory, or as unpaired individuals. It has a mellow, deliberate song consisting of loud bell-like notes. Pairs may sing duets in the morning, and other nearby kokako may also join in as a so-called "bush choir." Feeds on small fruits, leaves, fern-fronds, flowers, and insects and other arthropods found on the forest floor or on foliage. Builds a cup-shaped nest of sticks on the ground or low in a shrub or tree. 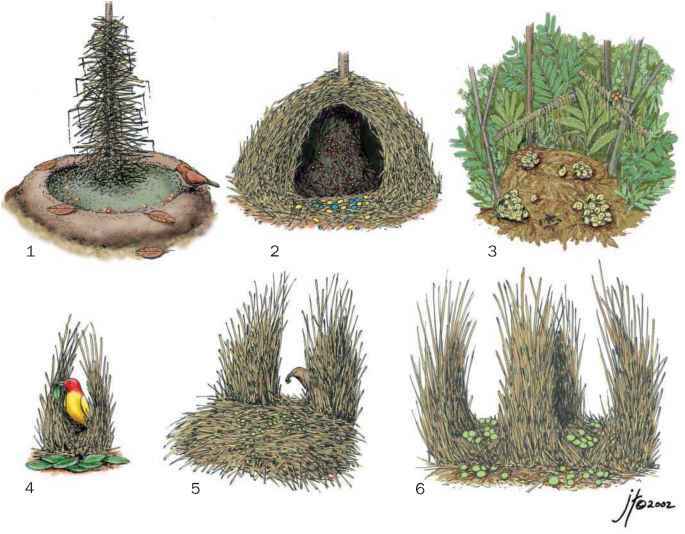 The nest is lined with moss, plant fibers, and feathers. Lays two to three gray eggs marked with brown. The female is responsible for the rather prolonged (about 50 days) incubation and the brooding of the young. This exposes the female to a much higher risk of predation by introduced mammals, resulting in some populations having a great imbalance of male over female birds. The kokako is listed as Endangered by the IUCN. The total area presently occupied by this rare bird is extremely small and fragmented. The number of breeding pairs is very small because of intense predation by introduced mammals, which has left many populations with an excess of unpaired males. Intensive conservation efforts are improving productivity at some sites. However, unmanaged populations continue to decline and at least one has become extirpated since 1990. Conservation biologists estimate that fewer than 400 pairs of the North Island kokako survive, in several isolated populations on islands off central and northern North Island. Since about 1980, there has been a marked decline in numbers of the North Island kokako, although management is now reversing that trend in some places. The South Island kokako is assumed extinct, although it is possible they survive in tiny numbers in remote parts of South Island or Stewart Island. The goal of the recovery plan for the kokako is to restore its population to about 1,000 pairs by the year 2020. A key element of the recovery program is the re-introduction of birds to predator-free islands having suitable habitat. Birds are being managed in captivity in an attempt to establish a captive-breeding and release program, and to prevent the extinction of local island races.